Beauty products are not always as simple to apply as we think they are. 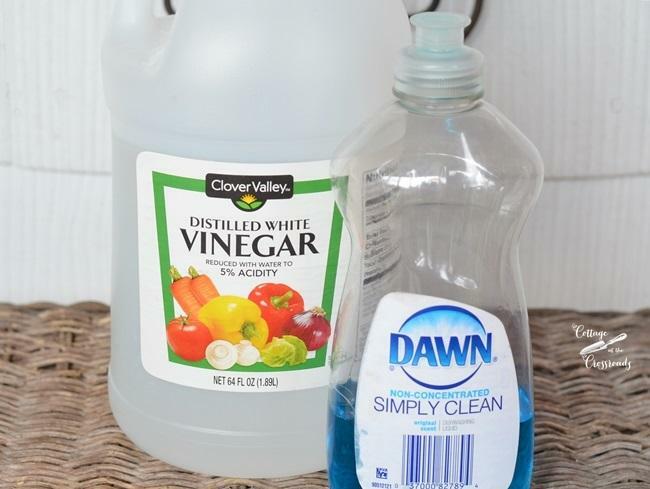 Here are a few beauty tricks to help you in your everyday life. 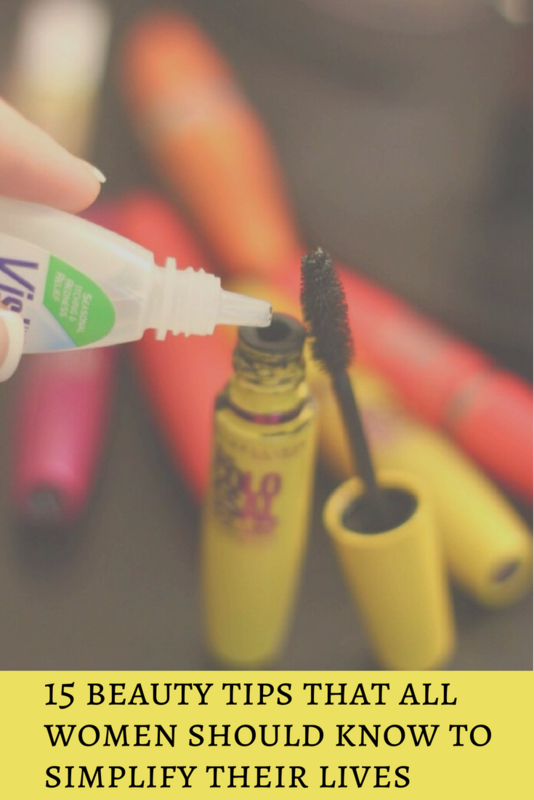 If you think beauty products are always straightforward and trouble-free, don’t be fooled. They are far from it, and this is true even if there are numerous beauty tutorials that exist on the Internet. Thankfully, we can simplify our lives when it comes time to apply our beauty products thanks to some great tips and tricks. 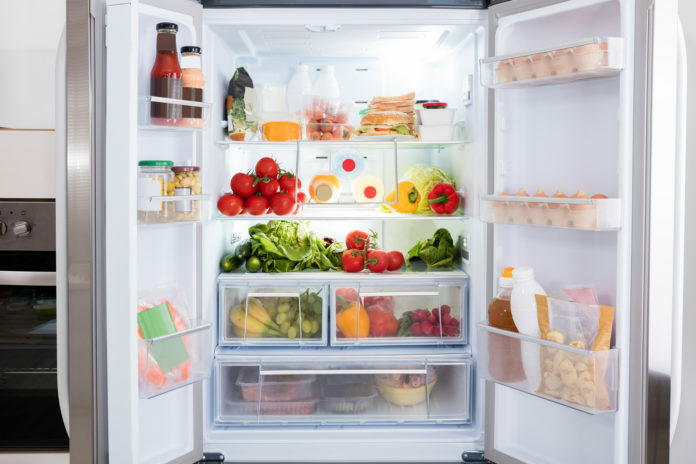 Not only do they help us save some precious time in the morning but these tips can also help us save money on extra products we would normally buy in a store. Try them now! Do you feel like taking advantage of the benefits of a beauty toner? 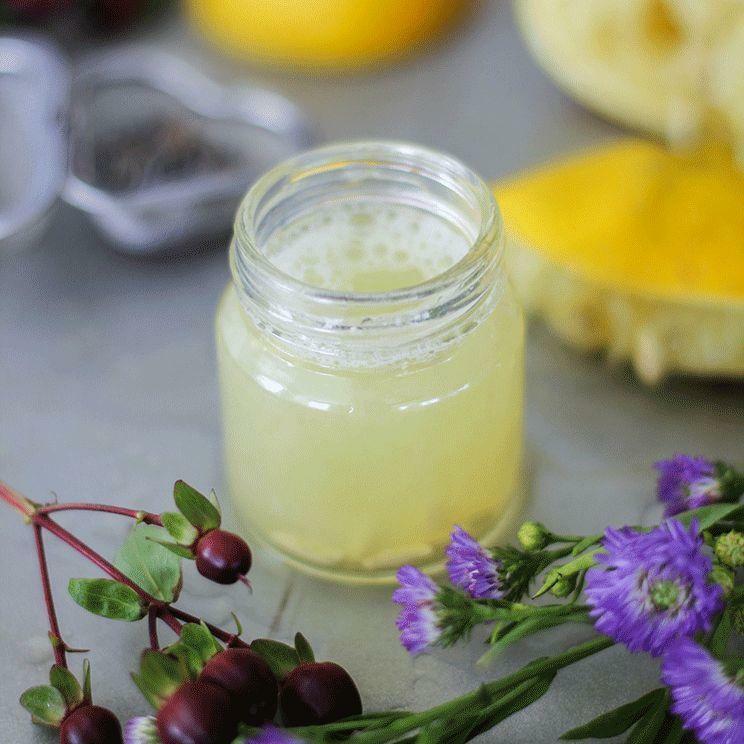 Why not concoct your own lotion instead of buying one at the store? 2/3 of a cup witch hazel. Apply the toner with a cotton pad before applying your other beauty products in order to take advantage of its numerous benefits! If you want to preserve your eye cream longer, just keep it in the fridge, that’s it! 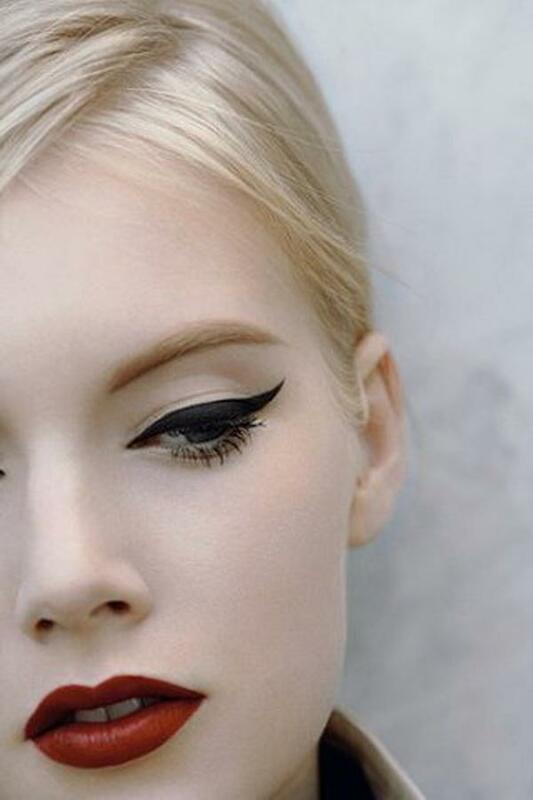 Do you want to create impeccable eyeliner lines? 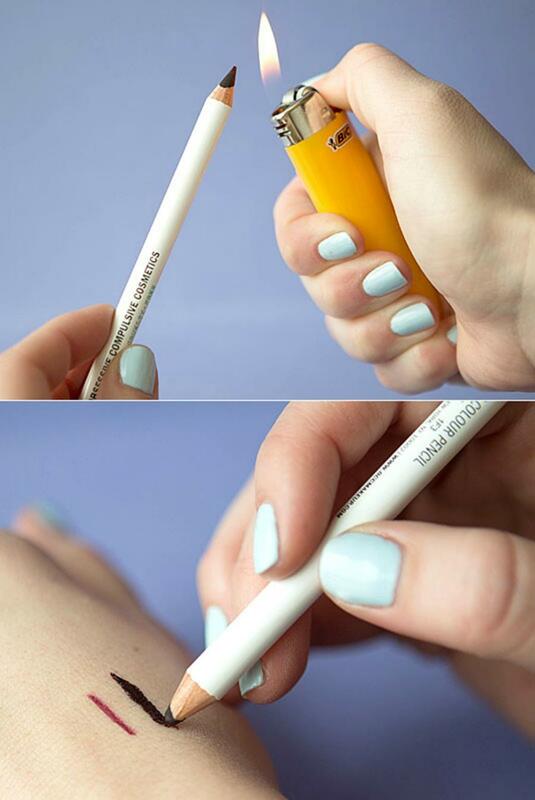 All you have to do is place the tip of the pencil near a lighter for a few seconds so it warms up. 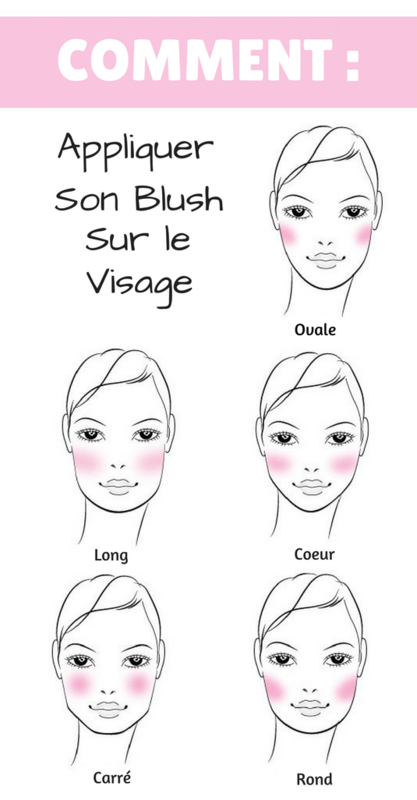 If you want to apply blush properly, you must first determine the shape of your face. Then apply your blush as shown above. Your blush will not only give you a beautiful complexion but also define the contours of your cheeks. To get an illuminated and sparkling look, all you need to do is add a bit of white eyeliner under your eyes. It is a great trick to use if you haven’t slept too well the night before! It is not always easy to apply eyeshadow and eyeliner. 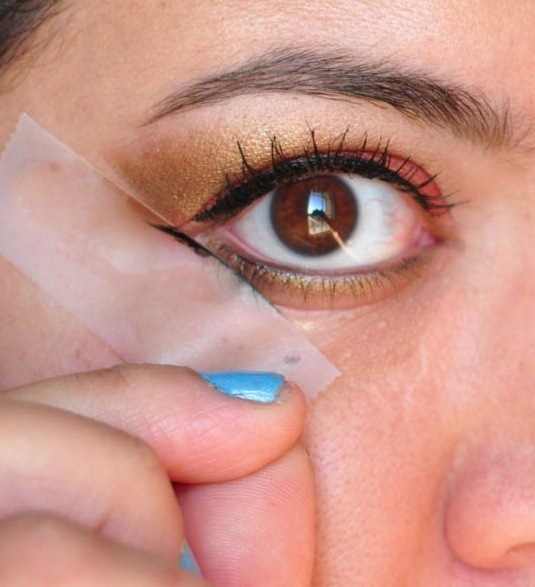 You can use tape to get beautiful and perfect lines and avoid spreading eyeshadow around your eyes. You don’t need injections to get fuller lips. Indeed, you can make a mark with a clear or white pencil in the centre of your lips, contour your lips with a pencil of the same colour as your lips then apply some gloss on top. It is possible to make your eyes deeper and more intense with your beauty products. 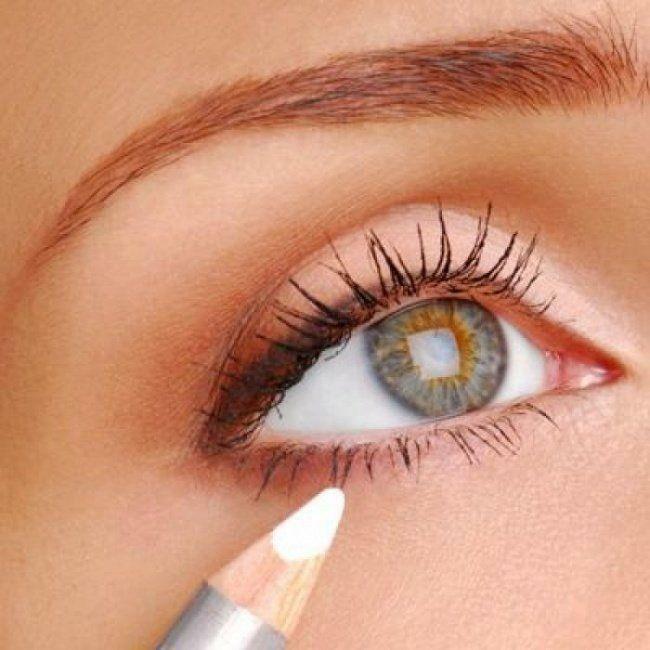 To do this, take light shades (for example white or cream and pearl colours) and apply them in the inside corners of your eyes. You can also apply a little of these eyeshadows to the centre of your eyelids and under the bone at the tip of the outer lid. Then apply your darker eyeshadows. Many people don’t like their nose because they find it too big. 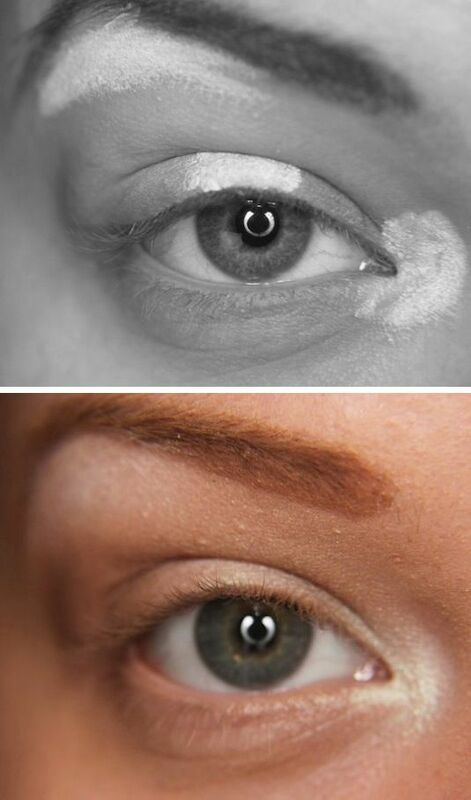 If this is your case, you can reduce its appearance with light and dark foundation (or tanning powder). 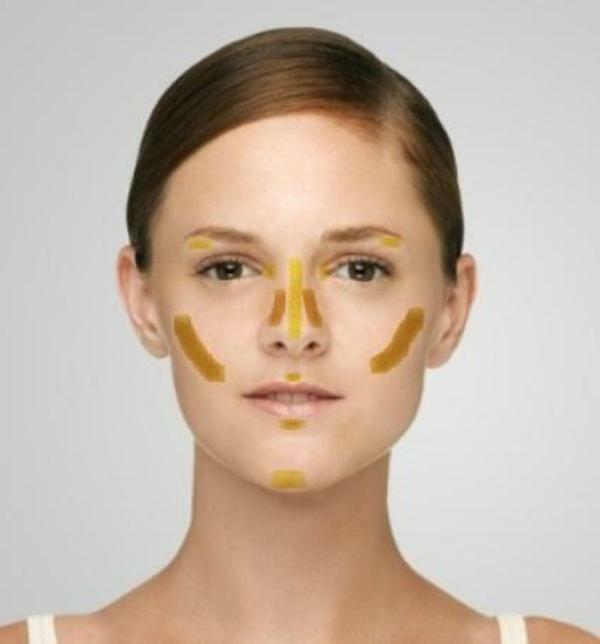 Apply the products to the areas shown in the image above and make sure to blend them evenly over your face. 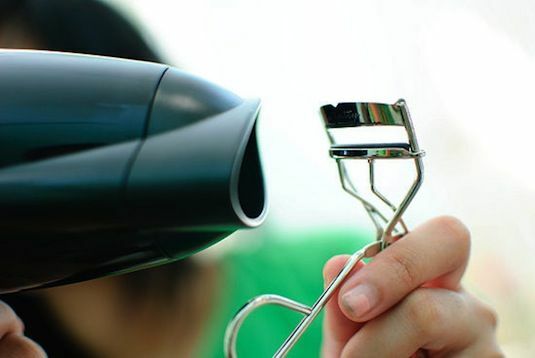 Warm your eyelash curler with your dryer for 3 to 5 seconds and then use your eyelash curler. 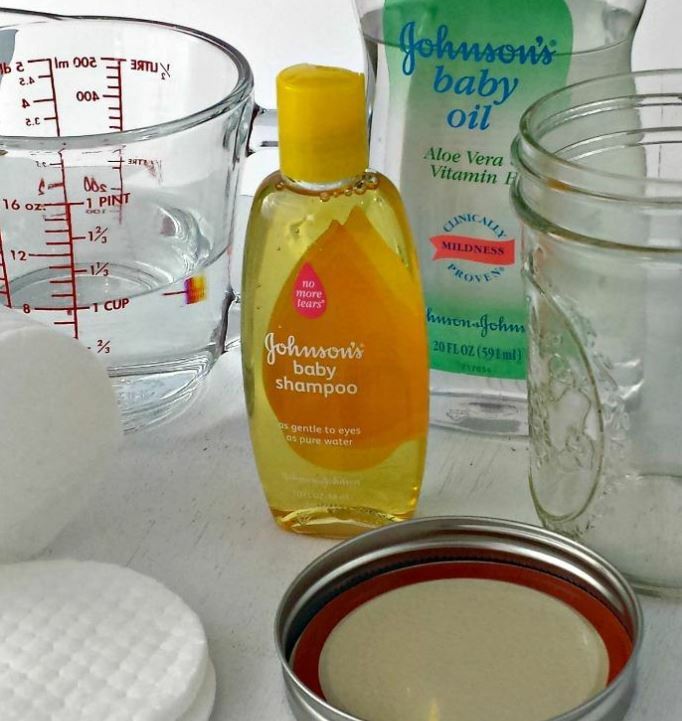 1/8 teaspoon baby oil, olive oil or coconut oil. 14. 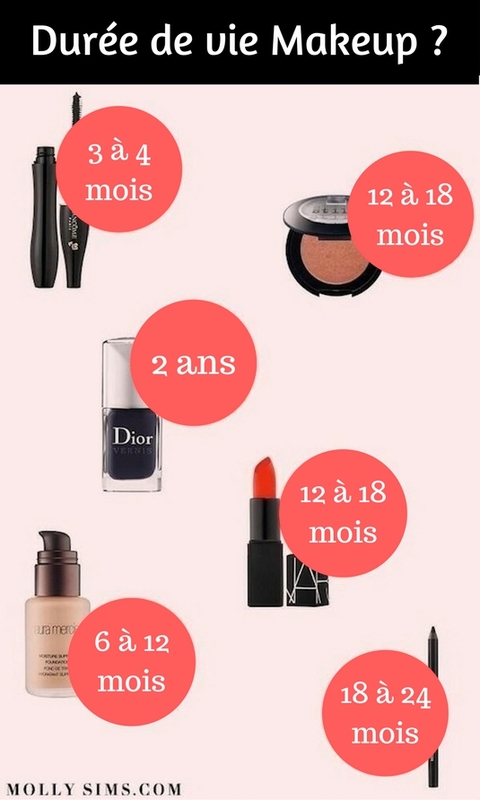 How long do products last? An eye pencil can easily last between 18-24 months. To lengthen the hold of your lipstick, apply a thin layer of concealer on your lips and then your lipstick. It’s a simple and effective trick! 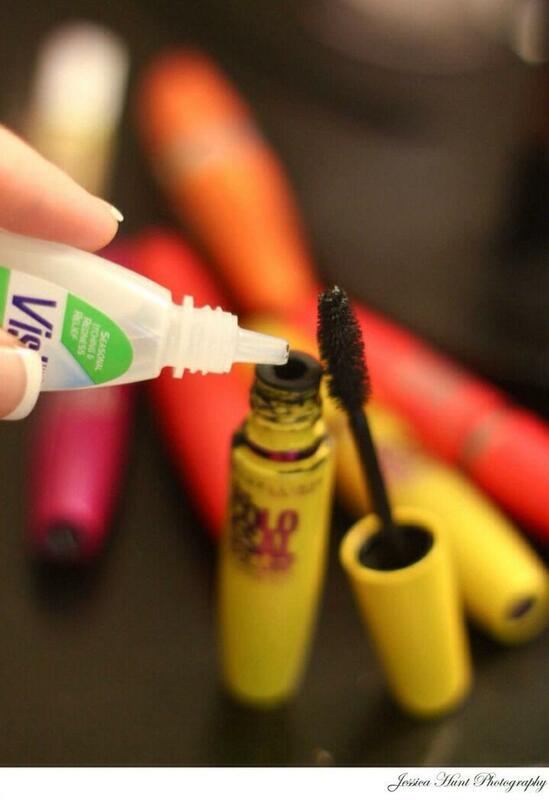 To extend the life of your mascara, add 5 drops of eye lubricant in the bottle.